In the 80's, downtown Holland found itself facing the same struggles and challenges as most downtowns across the country-staying vibrant and relevant with the sudden boom of the shopping mall industry. In an effort to keep downtown Holland the heart and pulse of the community, Holland business owners collaborated with the City of Holland and the Board of Public Works to share a vision and create a plan that would focus on bringing people together around local commerce, pedestrian-friendly streets, parking, and utilities. Joining the conversation was Holland native and Prince Corporation founder, Edgar D. Prince. Prince brought to the table an idea that he discovered while in Europe, a system of underground piping that circulates warm water to keep the snow and ice at bay during the winter months. 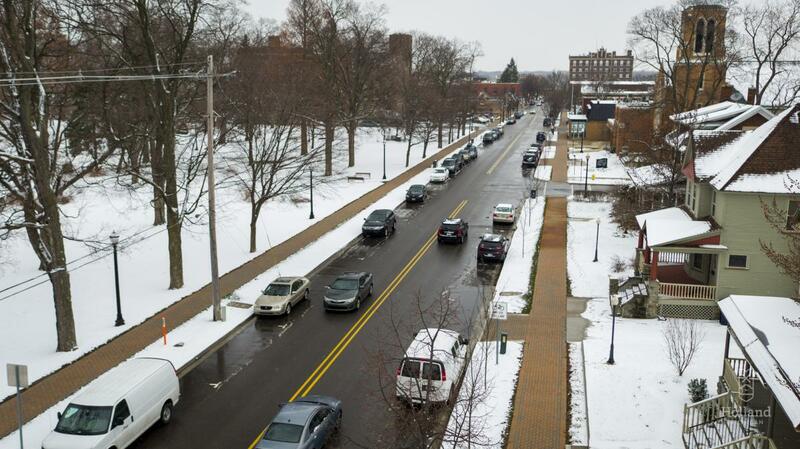 Using this idea, Prince expanded on the possibilities of snow and ice free access in downtown, and thus began the downtown Holland snowmelt project. Currently, snowmelt is maintained by the Holland Board of Public Works in collaboration with the Holland Energy Park. Snowmelt was first implemented in 1988 and is the largest municipally-run snowmelt system in North America. By using waste heat from power generation, water is heated and circulated through 120 miles of plastic tubing underneath the streets and sidewalks. 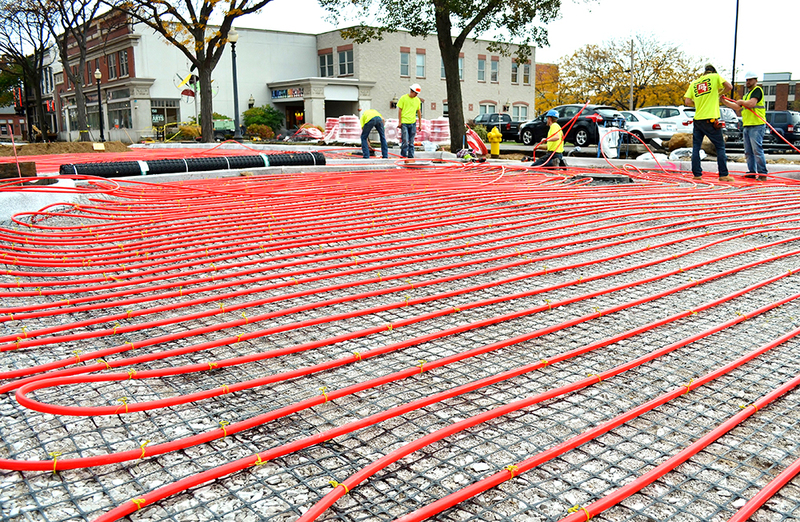 The tubes are 3/4" in circumference; Holland has 600,000 square feet of tubing totaling 4.9 miles and 10.5 acres of heated streets and sidewalks. With the water heating up to 95 degrees Fahrenheit, the system can melt 1" of snow per hour - even at 20 degrees fahrenheit with 10 MPH winds! 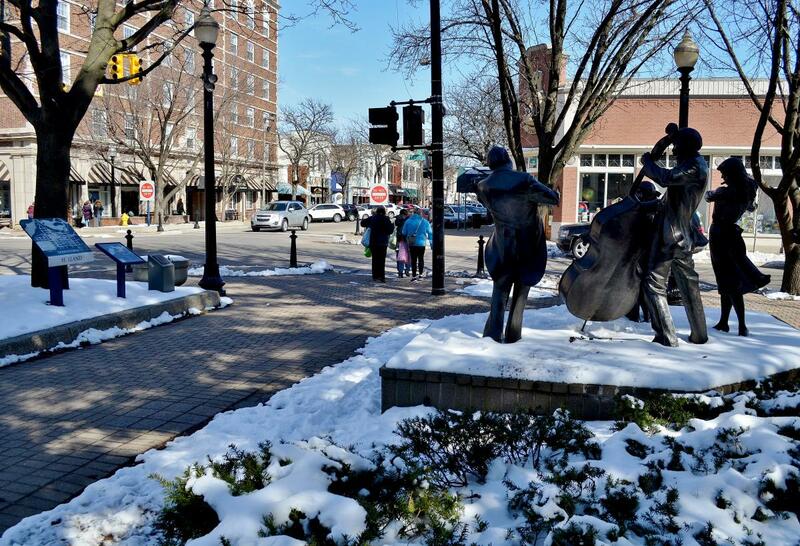 Snowmelt has already expanded to several areas outside of 8th Street, including sidewalks along River Avenue to the Herrick District Library, along Central Avenue to Evergreen Commons, to the Holland Civic Center and Farmers Market area, and to the parking deck on 7th Street. With the new Holland Energy Park, Holland could potentially support a snowmelt system up to four times its current size!